Charlotte, NC — The Central Intercollegiate Athletic Association (CIAA) announces a broadcast schedule of 14 basketball contests, including 9 broadcasts during the conference’s annual basketball tournament. This season’s broadcast schedule includes televised games on Aspire TV. 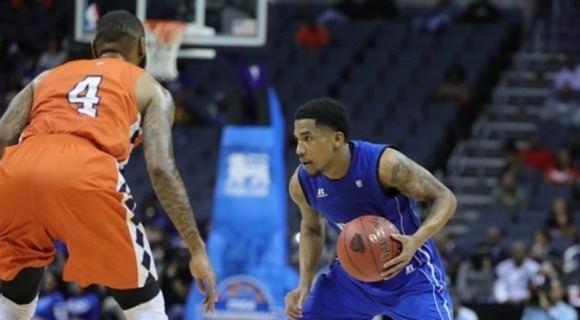 The CIAA will broadcast five regular season men’s basketball games and nine contests during its 2018 Men’s and Women’s Basketball Tournament. The regular season broadcast schedule will begin at Fayetteville State University on January 20, 2018 versus the Blue Bears of Livingstone College and extend four consecutive weeks. Each regular season contest will be televised live on Aspire TV. Local listings of each game’s broadcast will be forthcoming. The CIAA’s Basketball Tournament television contests will begin on Thursday, March 1 at Spectrum Center (formerly Time Warner Cable Arena) in Charlotte, North Carolina. Two men’s quarterfinals contests in addition to all four (2 women’s, 2 men’s) semifinals games will broadcast before both the Women’s and Men’s Championship games on Saturday, March 3, 2018. New this year is the Celebrity Charity Basketball Game, which will also be featured in the television broadcast lineup. The Women’s Championship game will tipoff at 1 p.m. with the Celebrity Charity Basketball Game at 4 p.m. and the Men’s Championship which is slated for 7 p.m.